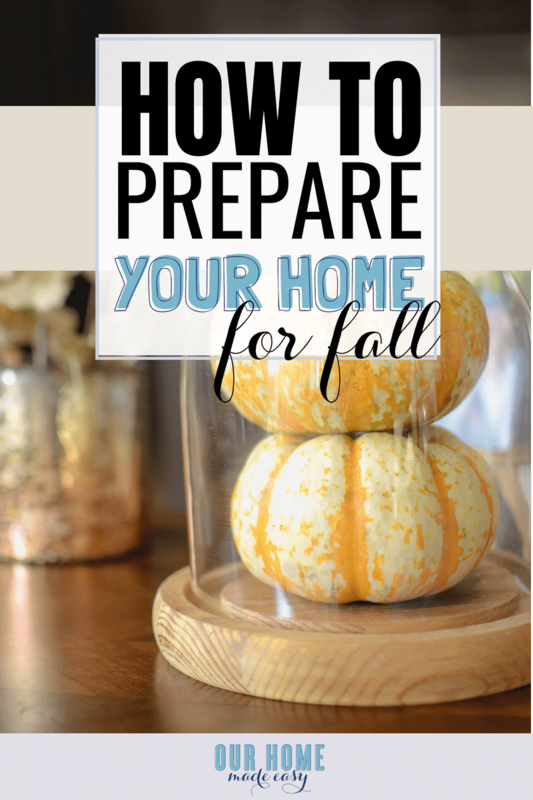 Get your home ready for fall in no time! Download the free fall maintenance checklist to make sure you’re prepared for the season change! When it comes to Fall time I’m generally in a well-caffeinated mode of back to school craziness, sampling every new pumpkin flavored treat at Costco, and making sure everyone is organized. But some things are so easy to fall through the cracks. Like keeping up with our home. But it’s so easy to forget that as we transition from open windows to turning on the heater for the first time, that we need to pay some extra attention around the house. Before we can enjoy the pumpkins and pretty front porches, we need to make sure we are safe (looking at you smoke detectors) and that the big ticket items are tuned up before cold weather hits! Knowing in early fall that the furnace needs some maintenance is much easier to handle than finding it out when you need to turn it on one cold evening and it doesn’t work. We all know that any time we can prepare ahead of time, it saves us so much energy. And moving into Fall is no different! Stock Up On Air Filters — buy them in bulk from Amazon or Lowe’s. You can quickly change them out so that as the air changes, you’re prepared. Test Out Your Furnace — give your furnace a test run right now to make sure it’s ready when you need it. Uncover Your Snow Plow — Like your furnace, give it a start-up while you can run to the store without driving through a snow storm. Empty Gutters & Rake Up Leaves — Gutters filled with leaves are a major problem. Stay on top of the leaves throughout any spare weeknights after dinner while you still have some daylight. Apply Bug Spray Around the Perimeter (if appropriate for your area!) — As the air cools, you might see a few extra pests trying to get into your home for warmth. Be proactive at first sight and spray. Change Out Smoke Detector Batteries — traditionally we do this when the clocks fall back, but there’s no reason to wait if you’re already tackling your to-do list! Drain Your Water Heater — Did you know you can lengthen your water heater’s lifespan by emptying it completely twice a year? If you haven’t done it before, you can find detailed instructions here on how to do it! 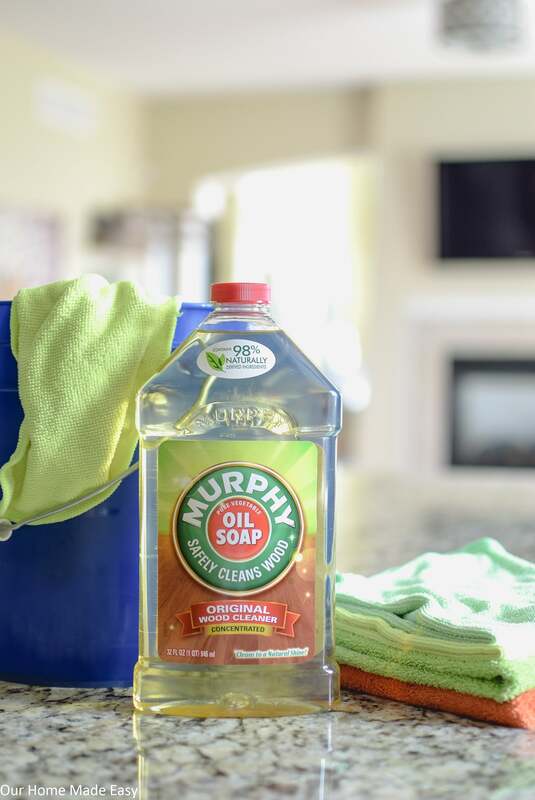 In addition to doing some extra things, I also like to take the time to give the kitchen cabinets a good wipe down and also power clean our area rugs. 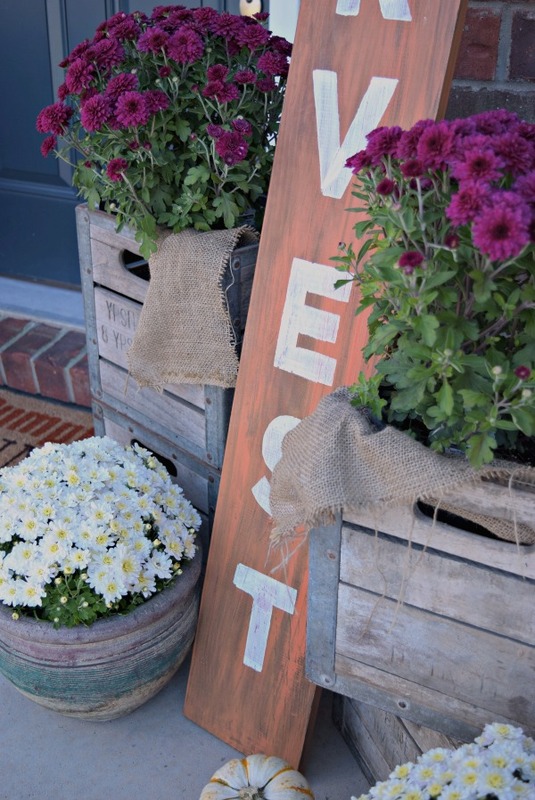 While it’s still so early in the year, I wanted to get a head start on some things around the house in time for Fall. I’m convinced the weekends in September & October zoom by at lightning speed and suddenly we are preparing for our first snowfall in November! 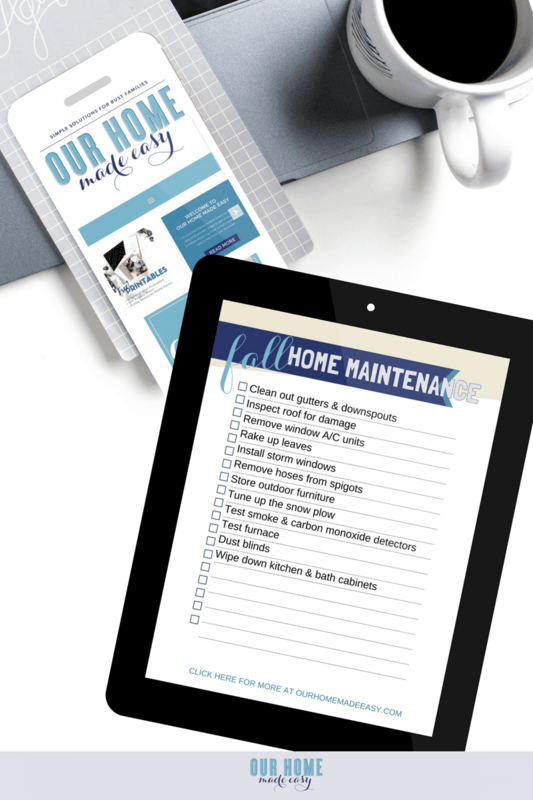 To make sure I don’t miss a thing this Fall, I created a quick & easy home maintenance checklist. 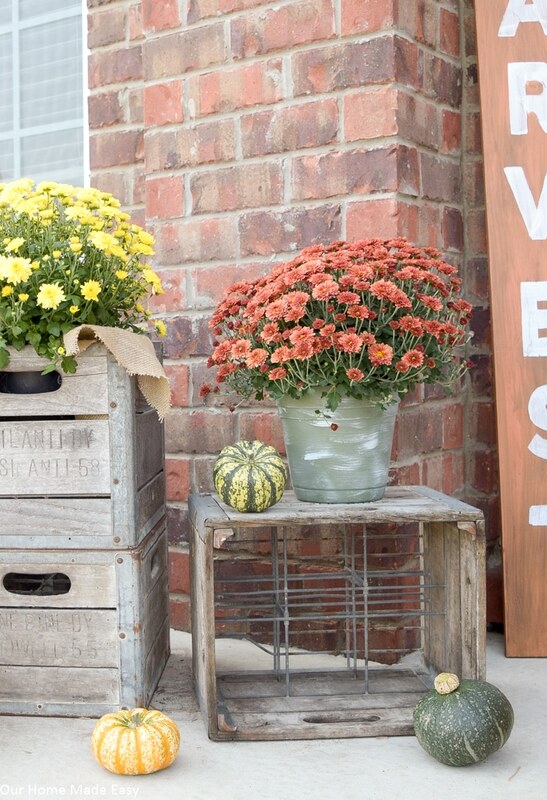 It has all our to-do’s to ready the house in time for the season change. And I wanted to share it with you, too in case you’re in a similar situation! 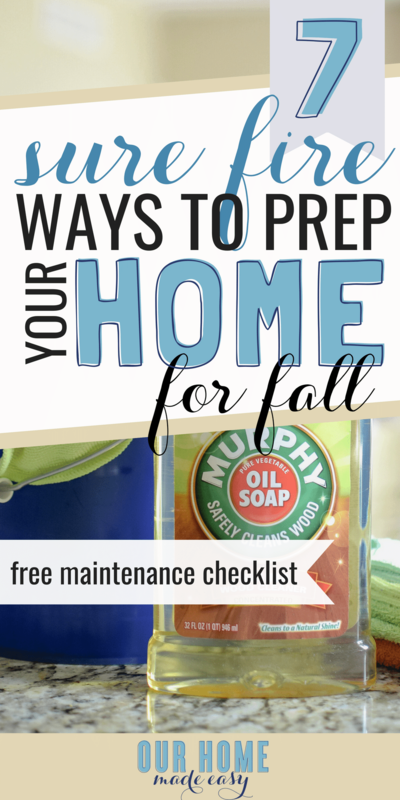 Want more seasonal home maintenance checklists? They are all included in The Ultimate Home Binder! 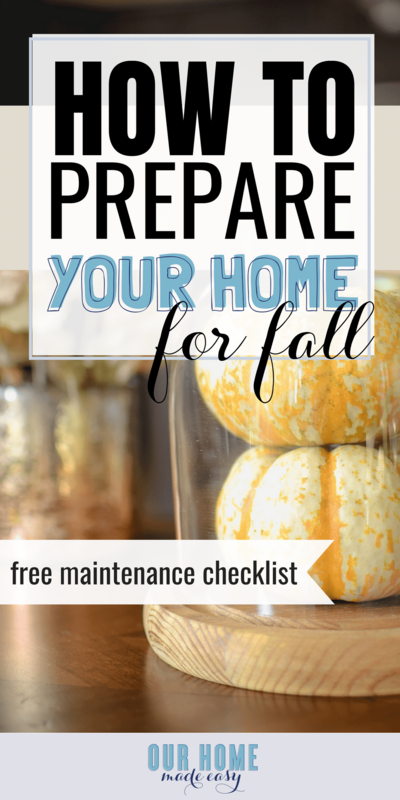 Don’t Forget to Pick Up Your Own Fall Home Maintenance Checklist!